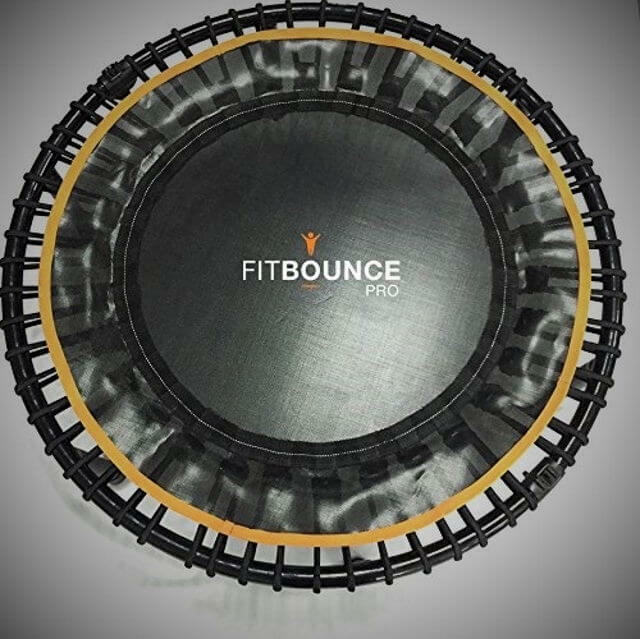 In line with the traditional FIT BOUNCE quality, this one is no different. 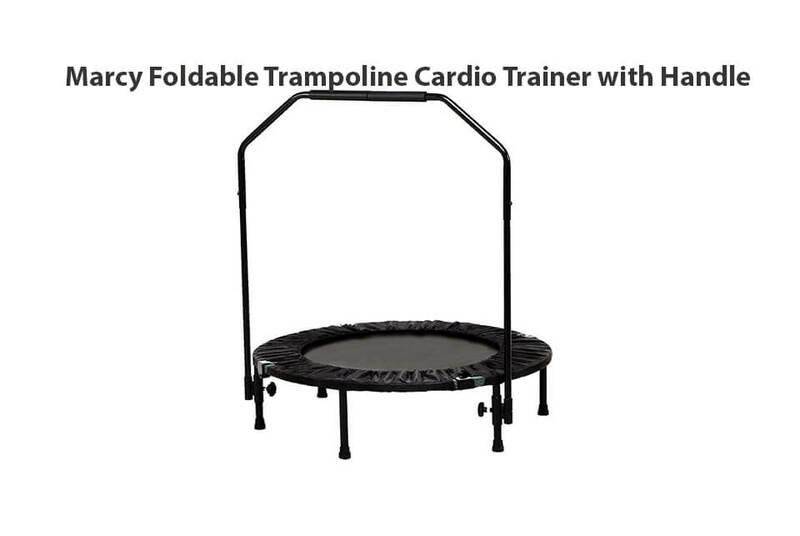 It’s their top model of rebounders and it shows. 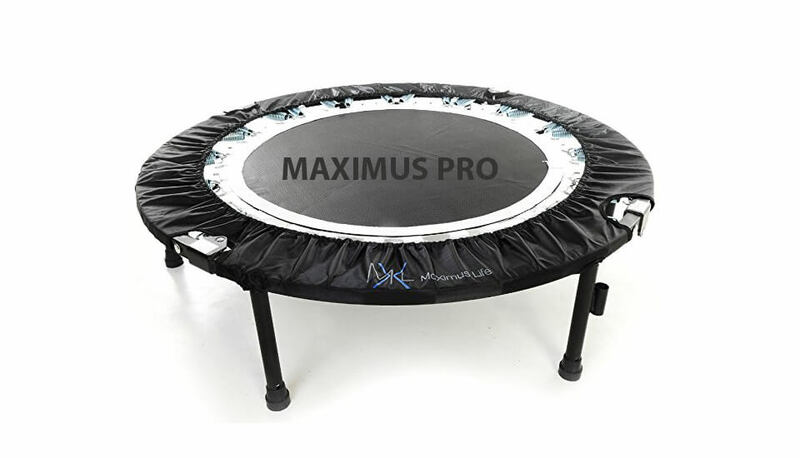 It sports a diameter of 40 inches, making it a great choice for an indoor rebounder. 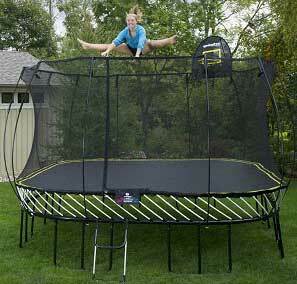 There are no springs; bungee cords are used instead. 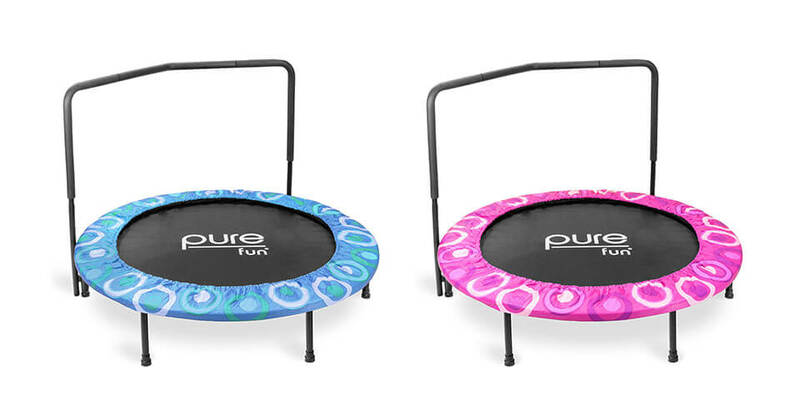 These cords are a lot safer than springs and provide a better bounce that puts even less stress on your joints and bones, it really does feel effortless. 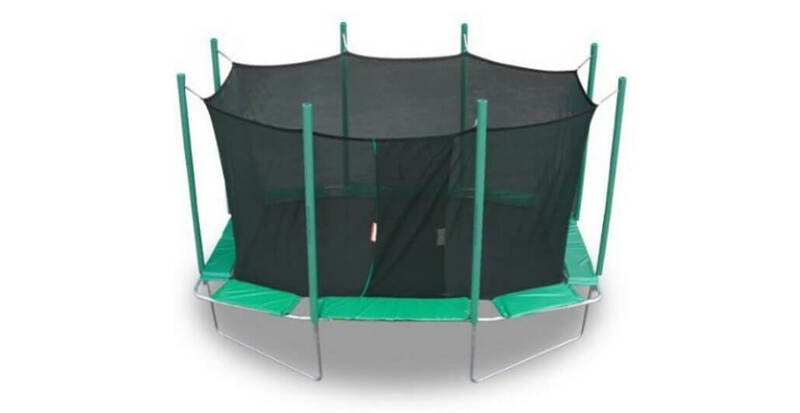 We liked how sturdy the rebounder is built and felt safe at all times. The 300lbs. weight limit is one of the best in its category. The mat is quality made and won’t break soon. 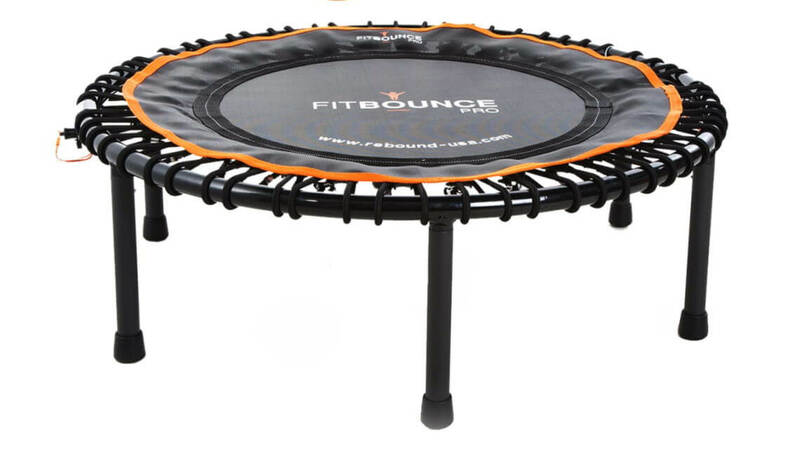 Unfortunately, due to the cords, the rebounding area is a tad smaller than with other rebounders – only 25 inches in diameter. 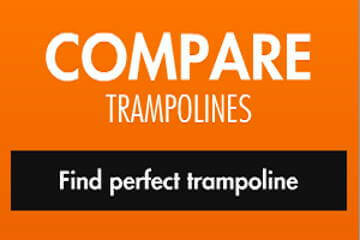 It’s safer though, and the manufacturer says it’s A-OK to bounce in socks or even barefoot. If you live in a flat, you’ll appreciate that the cords are extremely quiet. 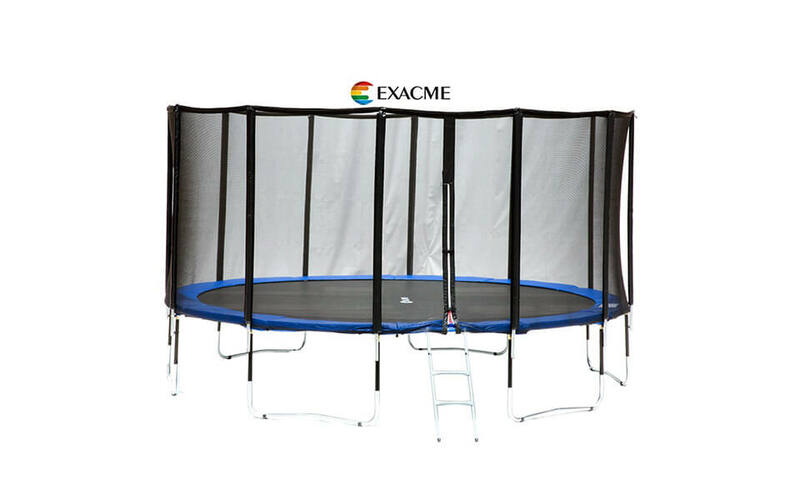 The trampoline is foldable and can be stowed away in a convenient carry bag. It’s ridiculously difficult to open and close the first few times because the cords need breaking in, but it becomes easier over time. The 6 legs don’t need screwing and assembly. They are spring loaded and can be folded as well. 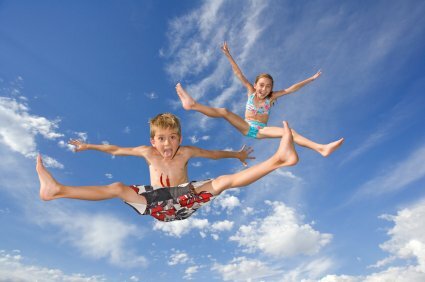 A warranty of 1 year is adequate and we don’t expect that anything will break anyways. 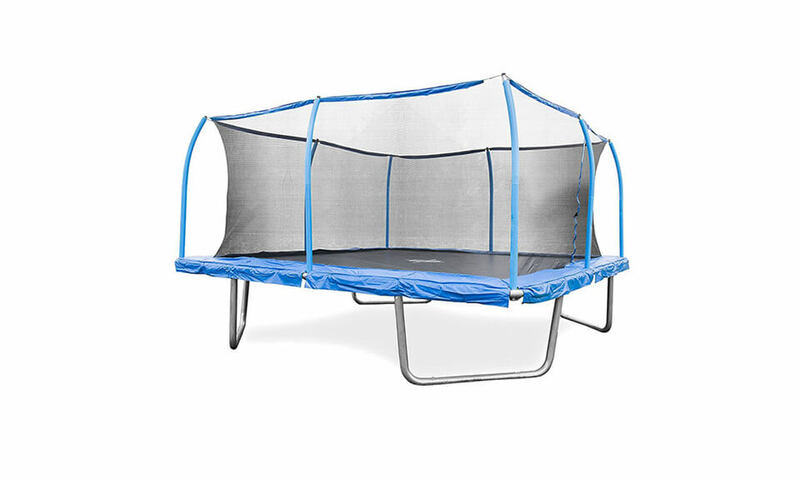 Overall, this is a great little rebounder, but the rather high price may turn off some buyers. We would still recommend this if you can shell out the money.